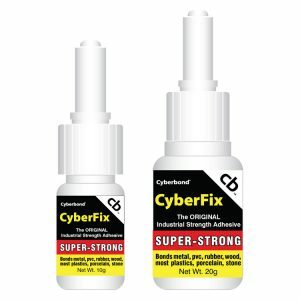 Either apply CyberFix adhesive or CyberFill welding powder first. Please do not mix separately. The adhesive reacts with the welding powder immediately. Apply in layers of approx. 2mm and make sure that the welding powder is completely saturated with adhesive. 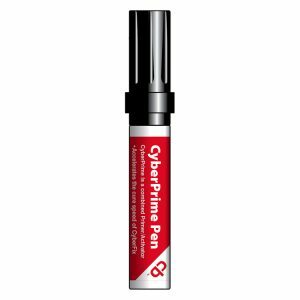 Repeat adding CyberFill welding powder and CyberFix adhesive if necessary. Blind off holes or corners with transparent adhesive tape. After hardening remove the adhesive tape and the material can be mechanically processed like sanding and painting after approximately 3 minutes. Note: To avoid clogging do not let the two tube tips get in touch with each other.